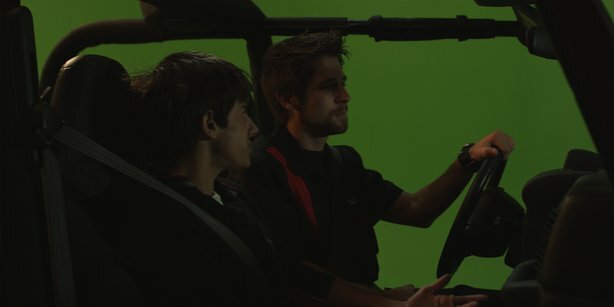 After doing several practical runs in a chase car it was decided that the Jeep scene should be shot on a green-screen. To that end we rented some studio space at Moving Pictures in Charlotte, NC and spent 10 hours setting up and filming a 45 second scene from three angles. Christopher Wilson and Bryan Scibelli were instrumental in getting the final result.